EVANSTON, Il -- Mingmar Tashi, Northwestern tour guide and member of the Sherpa people, calmly led his NU tour group last Monday directly past a corpse stuck in a pile of snow lining Sheridan Road. Tashi, who has guided dozens of groups through the treacherous Evanston landscape, was apparently unaffected by the sight of the remains, still dressed in a hefty winter coat and snowboots. 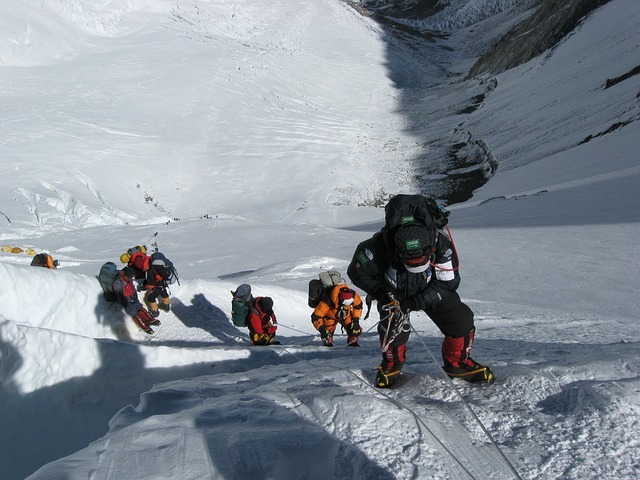 Carrying enough dehydrated food, water, and ice picks for each prospective student and his or her parents, Tashi laid down an ice-fall ladder and safely secured it with fixed ropes to walk across as he addressed the group. “It is a tragedy, certainly,” admitted Tashi, “But it’s unfortunately a fairly common consequence of the terrain. He understood the risk he was taking by coming here.” Just as Tashi finished his sentence, witnesses report, a sheet of ice covered in three feet of snow slid off a nearby building and crushed Benji Goldstein and his parents, eternally burying them in their desolate, frozen grave. “As I was saying,” said Tashi, “It happens. Moving on.” Tashi and his two trusted yaks then walked backwards as they accompanied the group alongside the Lakefill through a blizzard. The prospective students and their guide allegedly sought refuge in Norris University Center, where they made camp for the night and checked vital signs to ensure they could safely continue their journey at sunrise.